Remember the speculation from October about the next iPhone lacking a home button? If the following video is real then that speculation has just been upgraded from the usual Apple gossip to the first report on Apple's next mobile device. GforGames has found a video which, theoretically, was shot in a Foxconn factory. 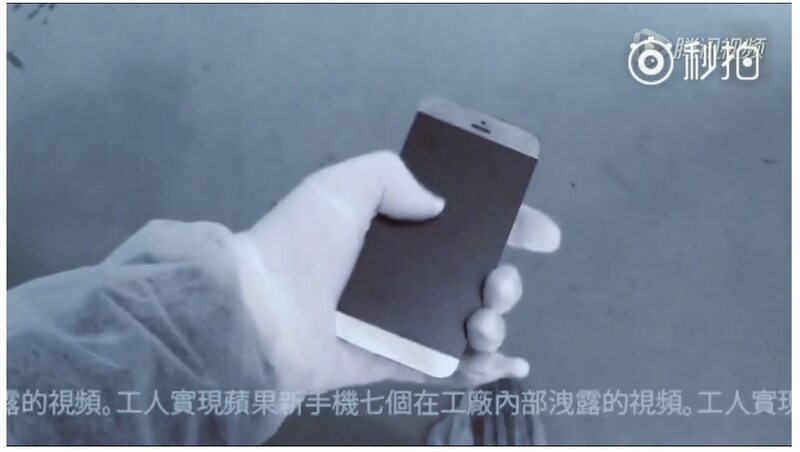 Covered in Chinese subtitles, the video shows a phone (or more likely a non-functional rough engineering sample) which vaguely resembles an iPhone. It carries an Apple logo on the back, and features cameras centered on the front and rear, and it doesn't have a home button. So is this video real? Well, the two sites I found it on both caution us against believing in it (but they still posted the video). If this is a fake then it's expertly made and bears all the hallmarks of a real leaked video. And Apple's new products do tend to leak - a lot - so there's every chance that this video is real and not a fake. I tend to think this is real, but I'm going to wait for someone to tell me what the subtitles say before I commit to it. For all I know the subtitles could say "let's see how many bloggers post this fake video, LOL". In which case, the video would obviously be someone's idea of a joke (and a good one, too). yeah, i say its fake. touch ID would not be removed so early in it use. and other sites have stated its a fake phone video too. The Home button serves as a physical reference as to the normal position when handling the phone. It serves the blind as well as other people. Okay, now I finally get why everyone pointed out the lack of TouchID! (I honestly couldn’t figure out why they thought that – facepalm). Okay, I’m going to have to flipflop and agree with everyone else. They’re right in that it wouldn’t make sense for Amazon to get rid of the home button – not unless they integrated TouchID some other way.